The Arbours Primary Academy in Northampton has achieved the Inclusive School Award again. The Arbours Academy is led by an inspirational Headteacher who has high expectations of the staff and pupils in spite of the many challenges faced by the school community. She is keenly focused on inclusive values and her leadership skills have been recognised by the Academy Trust as she is also an Academy Improvement Lead for schools within her cluster. She ensures a high quality of education within her own school and shares her expertise with headteachers, senior leaders, staff and governors in other schools within the cluster. She firmly believes in the importance of positive relationships within her own school and understands that formal education may not have been the best experience for many parents. The Arbours Academy is part of The David Ross Academy Trust. Within the Trust there are 22 primary schools and 11 secondary schools. The Academy is a larger than average primary school with 377 pupils on roll. The school experiences very high pupil mobility with an approximate average of only 50% of pupils completing their entire primary education at the school. 36% of its pupil number have EAL. 31 languages are spoken, many pupils join the school with little or no spoken English skills. Some pupils are only in the school temporarily whilst they wait for a school place nearer to their home. Teachers and senior leaders are very positive about being part of the David Ross Education Trust (DRET) and they appreciate staff training that has involved all of the Academy schools. They talked positively about the standardised curriculum being planned and believe it will enable classroom practitioners more time to focus on the needs of pupils. They are happy that the curriculum will be reviewed over time and are confident that their views and feedback is valued and will be considered if changes need to be made. Music is an important part of school life and at present the focus is on singing. Every class has a weekly singing lesson delivered by an enthusiastic specialist teacher. Class teachers are encouraged to end each day with ten minutes of singing as Senior leaders believe that singing can uplift spirits and create an inner feeling of well-being. The Music Service also offers lessons in violin, clarinet, brass, cello, flute, clarinet, piano and keyboard. The Academy Trust offers many enrichment opportunities for its schools as well as financial support for certain projects. Recently school pupils participated in an Academy wide debating competition which took place in a local theatre. Topics debated included ‘Friendship is more important than family’, ‘Is it right to bully a bully?’ and ‘Being a vegetarian is the best and healthiest option’. The activity contributed to the development of persuasive thinking as well as clear articulation of thoughts and ideas. Although the school did not win the competition, all involved appreciated taking part Pupils also joined a multi-Academy Trust production of Noah’s Flood, a music and choral event. The Headteacher demonstrates the respect she has for her staff by sharing a special ‘thank you’ report at the end of the school year. She personalises a special word of thanks to every member of staff acknowledging where they have ‘gone the extra mile’ for a pupil or colleague during the previous three terms. In the staff room there is a ‘praise board’ where anonymous messages of praise and thanks to another member of staff can be posted. Consequently, staff feel valued and all those spoken to on the assessment day are very happy at the school. The Pastoral Team is led by the Deputy Headteacher who is similarly passionate about the inclusion of all pupils. She oversees the work of a highly committed Family Support Worker (FSW) who has developed many opportunities for individuals and families to access support. She reaches out to adults and children within the school community and seems to have an endless capacity to support those in need. A small meeting room named the Rainbow Room provides a safe space for children and a positive space for adults to meet. A most successful peer to peer support programme for pupils has been developed called ‘Time to Talk’ which is described more fully in Element 3 of this report. The FSW has organised many activities to reach out to parents such as the Freedom Programme (to support victims of domestic violence), Family Language courses (to help develop spoken English skills), Cooking on a Budget, Christmas Cooking and Fun in the Garden. The FSW and members of her team are at the school gate every morning to give out information leaflets, to arrange family meetings and ‘drop-ins’ and to maintain awareness of the support offered by the school. When appropriate the FSW visits families at home so that she can understand needs more fully and encourage improvements in school attendance. Recently attendance figures have improved to above 95%. She supports parents whose children have behavioural difficulties and teaches them tried and tested strategies such as 1-2-3 Magic. A map of the world celebrates the ethnic and cultural diversity of the pupils and the school values the individual difference of all pupils and staff. However, English as an Additional Language (EAL) can be a significant barrier to learning for many and helping pupils to access the curriculum through the acquisition of good language skills is a priority. The deployment of staff resources to support pupils with language needs can be a challenge especially when they join the school at different times in the school year. Younger pupils tend to be absorbed into classes, with extra one to one support provided. A play-based curriculum is used in the afternoon to give pupils the opportunity to practise new language learned. Older pupils usually follow a fairly intensive language development programme for about six weeks. If possible the school pairs them with a buddy whose home language is the same (but with more advanced spoken English). School staff have to demonstrate great cultural awareness so that new pupils feel safe and secure in a non-threatening school environment. The school has good links with a nearby Local Authority school which has devised and shared a very effective resource to assist in the learning of pupils with EAL. Pupils with Special Educational Needs and Disability (SEND) receive sensitively planned support. Staff are very aware of individual needs and of the unique nature of every child. The Deputy Headteacher who is also the Coordinator for SEND (SENDCo) said ‘there are different stories for different children and we have to plan for their needs accordingly’. As a staff they are prepared to try alternative ways of supporting children. For example, some children have received home tutoring when this approach was considered to be the best way forward. Others with social communication needs have attended therapy sessions at an organisation noted for its success when working with children with autism or those on the autistic spectrum. 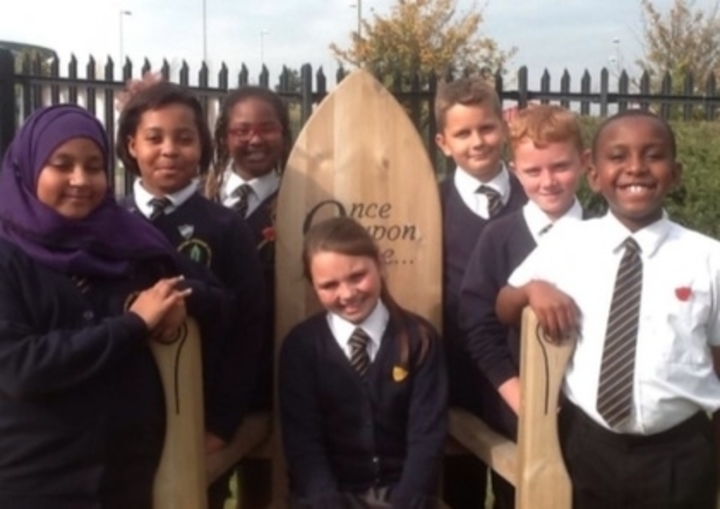 Pupils say that they love their school and one Year 6 pupil said, ‘Whatever you do teachers support you’. The Governing Body work hard to support the school and although they do not have a full quota at present the very experienced Chair explained that she is conscious of the need ‘to appoint the right governors who are best for the job’. The meetings are well planned and purposeful, she hopes to encourage more governor visits to the school in the new school year. The Chair is also the Safeguarding Lead for the school and the Academy Trust. It is a challenge to engage parents. A Family Support team is based in the school to support disadvantaged pupils. Approximately 35% of pupils qualify for Pupil Premium funding. The 2017 baseline assessment suggests that 100% of pupils joining the school in 2017 were below age-related expectations, with some being significantly below. In spite of the challenges faced by the school and the families it serves, data analysis is showing an upward trend in pupil attainment and progress.